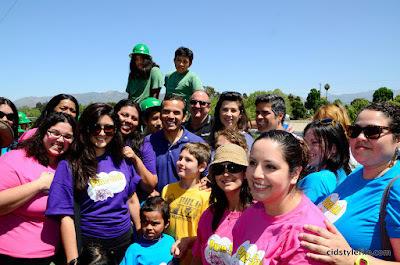 April 30, 2011 was LA River Day of Service in Los Angeles. I was invited to participate and volunteer along with 15 other LA Latina Bloggers to clean up the LA River. Pine-Sol sponsored the day and gave all the bloggers Flip video camera to capture the days activities. Between the cleaning the river to meeting the LA Mayor Antonio Villaraigosa, Daphne Zuniga, Esai Morales and listening to LA band Ozomatli play from back stage, it was a long and wonderful day. 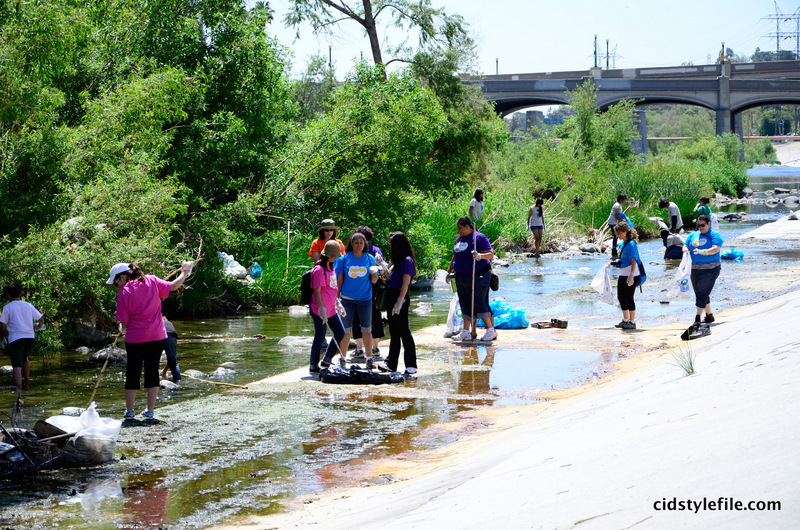 The day was a perfect sunny and beautiful LA day, everyone happily pitching in to keep our LA river clean. I was glad to be a part of it and want to share my video with you. Just a sample of the day we had and what a great cause this was. 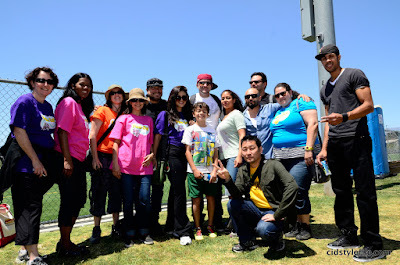 If your in the LA area you should definitely plan to come out and volunteer next year. Thank you to Latina Blogger Connect for inviting Cid Style File to participate. ** No compensation was received for this post, but I was provided with a Flip camera and t-shirt from Pine-Sol for volunteering my time. I actually do, nevertheless, don't agree how the eco-friendly cartier replica uk isn't an awesome view this simply depends upon the way you put it on. To begin with, eco-friendly is hublot replica sale a vital colour with regard to Rolex, provided that it's the actual brand's main brand color. Exactly what I love, nevertheless, is actually which Rolex loves to perform along with rolex replica watches tones associated with eco-friendly. Which means the different eco-friendly Rolex wrist watches available, through tag heuer replica uk in order to Presidents, possess various tones as well as surface finishes associated with eco-friendly. Personally, i believe that basically had been adequately financed I'd just like to possess a assortment of as numerous various green-dialed fake rolex sale when i might get my personal on the job.